Dr. Norman Roberts is a retired dentist living in Ft. Lauderdale, FL. He is an avid reader, a former editor of New Scene Magazine, and author of The Blackjacks. A successful mortgage lender until the 2007 real estate crash, Dr. Roberts returned to investing in the market in August, 2008; and by March, 2009 had suffered an unrealized loss of $650,000. Although he claims no special investing expertise, luck, or insider knowledge, he developed a trading philosophy and trading strategies that converted that loss to a $600,000 gain by March of the following year, a remarkable $1.25 million turn-around. Knowledge he has since shared with friends and family, several of who urged that he write about it and share his knowledge with others. Consequently, he wrote and published The Dividend Investor's Guide in 2011. On March 2, 2016, Dr. Roberts wrote his first article as a Seeking Alpha contributor, exposing what he considered a legal attempt at extortion. He soon became a prolific, although mildly controversial contributor, and rapidly built a large base of followers and soon became the #1 contributor in Seeking Alpha's Dividend Strategy category. 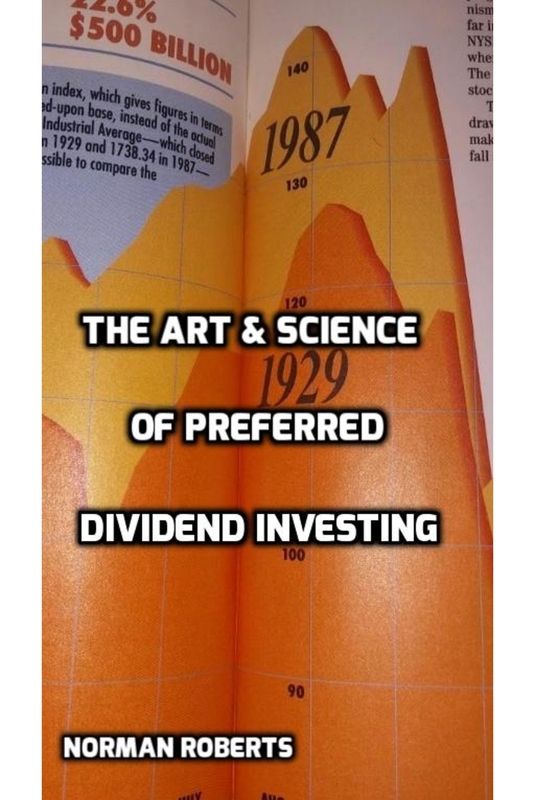 Based on his expertise and experience as a cumulative preferred dividend investor and the many articles he has since written on the subject, Dr. Roberts has recently published The Art & Science of Preferred Dividend Investing. I consider myself an idiot savant. I know a lot about preferred investing and little about much of anything else; however, that lot more than made up for the little, and allowed me to prosper as a market investor. I'm certain you can do the same. ARE Alexandria Real Estate Equities Inc.
CDOR Condor Hospitality Trust Inc.
DFP Delphi Financial Group Inc.
DMO Western Asset Mortgage Defined Opportunity Fund Inc.
DNP DNP Select Income Fund Inc.
FFC Flaherty & Crumrine / Claymore Preferred Securities Income Fund Inc.
LTS Ladenburg Thalmann Financial Services Inc.
MITT AG Mortgage Investment Trust Inc.
MTGE American Capital Mortgage Investment Corp.
NYMT New York Mortgage Trust Inc.
PSF Cohen & Steers Select Preferred and Income Fund Inc.
RCS PIMCO Strategic Global Government Fund Inc.
Tony Remo, growing up on the mean streets of Manhattan’s East Village during the War in Vietnam, has been enrolled in college for the past three years to escape the military draft. We meet him the crucial day of the December 1, 1969, draft lottery. His birth date, the 326th selection, guarantees he will not be drafted. Initially euphoric, his mood turns somber. What now?